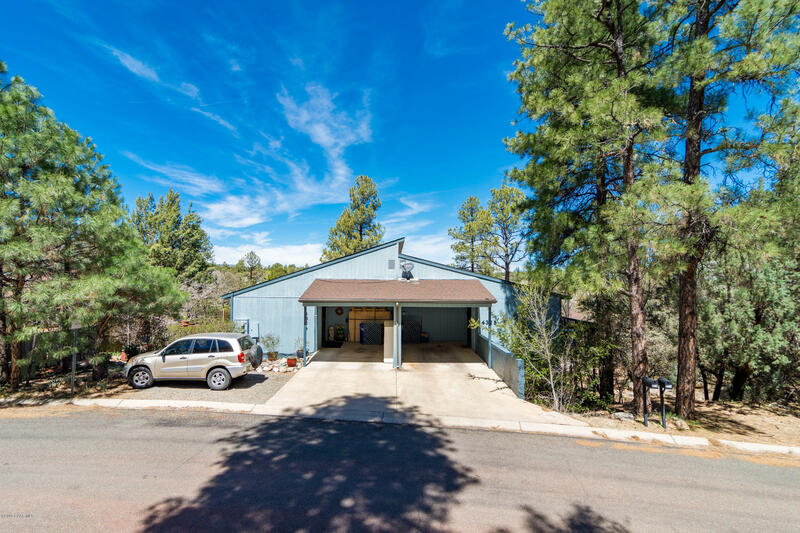 Rare Prescott duplex just 1.5 miles to downtown Prescott. Close to shopping, groceries and restaurants.Beautiful area with low annual and HOA and Ponderosa Pines2 duplexes with 2BR/2BA each. Each unit has private side deck with nice views. Bedrooms and bathrooms plus laundry are on lower level.